The Release Window has become a critical decision for all content makers. BUT. It is no longer an either or scenario. There are a myriad of approaches being defined by the storytellers prepared to ask questions and gather data to redefine their options. In the same week I attended a workshop with the Sydney Film Festival Dendy Awards Finalists – the top short film competition in the country - at Metro Screen, as well as a session on Youtube for Pros presented by Screen NSW at Vivid Ideas. The critical decision around the prestige and critical acclaim of Film Festivals versus the opportunity for reaching a mass audience and making money online, has been swilling around in my head ever since. Congratulations to the 10 Projects taking part in the Storyworld Studio program - PJ Collins, Philip Denson, Julia Gregg, Yvette Harvey, Philip Lange, Liz McCarthy, Glenys McLaughlin, Cam Smeal, Roy Weiland and Jackie Young. Looking forward to ten epic stories. Want to be part of a Canadian TV pilot? The producers are looking for people standing in front of an international landmark or sign singing the chorus to Tal Bachman’s song She’s So High. For more info contact Paul Worth by 30th June. Submit your super short film to DepicT! part of Encounters Short & Animation Film Festival (Bristol, UK) by Monday 8 July for a chance to win £3,000 in cash prizes, industry support, priceless exposure and much more! Entry is free. Two non-celebrity filmmakers want to discover if they too can raise $2 million, just like Zach Braff did. What for? To fund their own ambitious short film idea and to give the rest away to non-celebrity short filmmakers around the world! Good Editors are in demand, if you want a job in television or a professional production house you’ll need to be able to use AVID Media Composer. It’s the preferred software of many professional editors, especially in television. Look Ma I’m editing Neighbours! 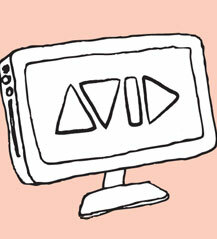 In just 4 days you’ll have a basic introduction to editing using AVID in a small class on computers with the latest versions and a teacher that has been making real TV shows for over 40 years. They say it takes 10,000 hours of practice to become a genius at something, so if you are between 11 – 17 years old, now is the perfect time to start! Under the watchful eye of a highly experienced filmmaker, kids learn how to take a story from script all the way to screen. They get to make either a short film or trailer or behind-the-scenes documentary. Have a chance at trying different crew roles at this very interactive, hands on creative school holiday course. Right out of the box, the TriCaster TCXD300 is a complete, Integrated solution for pros delivering big, live productions in native, full-resolution HD. It’s your compact HD production studio system that fits in a backpack. It includes multi-channel switching, virtual set generator, real-time streaming system, multi-input switcher, green screen keyer and more tools making the TriCaster an all-in-one production centre. 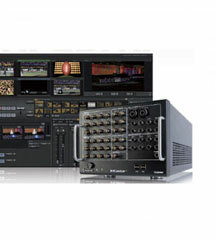 Video producers can now use the TriCaster to join the live TV revolution through the internet. ‘Two brothers and girl’ is a realist social drama that follows the everyday life of two brothers who live together and unknowingly get involved with the same girl. We are looking for a Continuity Person, Make-Up Artist, Unit Manager, Boom Operator, Costume Manager. Rottofest, Western Australia’s only overseas festival that you don’t need a passport for, has announced it is now accepting submissions for funny short films and filmed sketches to be screened at the fifth annual festival on Rottnest Island from Friday 6th September to Sunday 8th September 2013. Cash prizes up to $1500 for Funniest Film and Funniest Sketch are up for grabs. The entry deadline is 16th August 2013.
Who loves Science fiction films? The 25th Reich, The WW2 sci-fi film, now has an Australian release! Check out the trailer and also the release dates. A Life Exposed is a documentary film about photographer Robyn Beeche which will be screened on ABC1 on 25th June 2013 at 10pm. The film had assistance from Metro Screen through the Jumpstart program and was written and directed by Lesley Branagan. Angelique Papadelias has just written her first book, Arjun Rising, which will be published in approx 6 weeks. It’s a biography on a man’s life that lives in New york/New Jersey, however he was born in India and raised in England. Angelique is a graduate of the Certificate IV in Screen and Media & Multiplatform Producer Scholarship with Metro Screen. Storm Surfers 3D opened its theatrical season in the US last week. Firelight Productions Ellenor Cox talks about the array of international deals. Marcus Gillezeau is former President of Metro Screen, and a guest speaker at many of our events and seminars. Marcus and Ellenor are both founding partners of Firelight Productions. Screen Australia has announced almost $60,000 in support for two short films through its Short Film Completion Fund. The films are in various stages of post-production and this funding will ensure these projects are completed to a high standard and enable the filmmakers to realise the best versions of their visions. The Sunset Six is a feel-good musical comedy about a washed-up 80s rock star who has to get the band back together to land the recording deal of a lifetime. Thanks to our friends at Titan View we have 5 x double passes to giveaway. Steve Coogan (Tristram Shandy, The Trip) in the true-life story of Paul Raymond, the man behind Soho’s notorious Raymond Revue Bar and Men Only magazine. Thanks to our friends at Madman Entertainment we have 10 x double passes to giveaway. After leaving his LAPD narcotics post following a bungled operation, Sheriff Ray Owens (Schwarzenegger) moved out of Los Angeles and settled into a life fighting what little crime takes place in sleepy border town Sommerton Junction. Thanks to our friends at Roadshow Entertainment we have 5 x copies on DVD to giveaway.